I went to a party a while back and one of the things that came up for discussion was the crash of the Malaysian airliner in the Indian Ocean a couple years back. 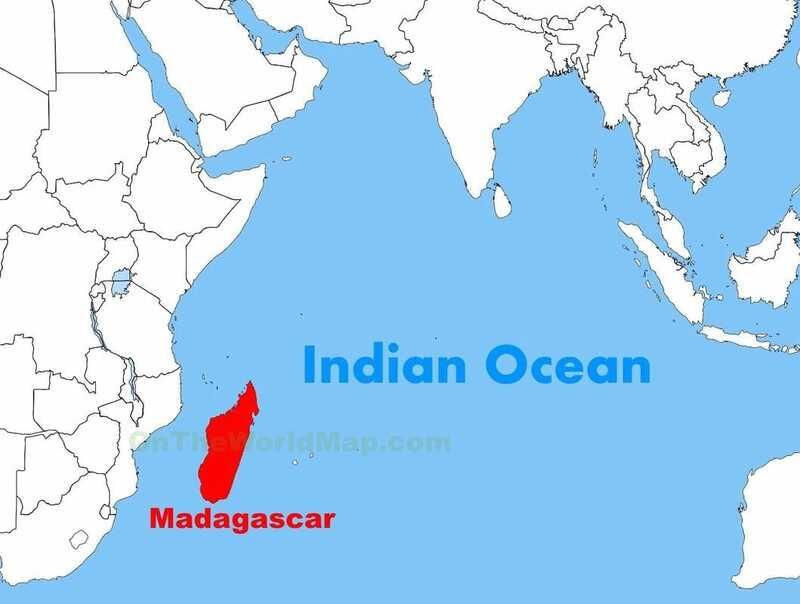 Parts of the plane were found off Madagascar, I believe. Malaysia is an island country near the right margin. That, of course brought up some disbelief that the wreckage could move that far. Well, it also brought to my mind an adventure I had over the 1965/66 winter with a shipwreck whose survivor covered a bunch of distance. This picture and all that follow were taken from Google's advanced search. Ben Franklin knew about the Gulf Stream although he might not have called it that. As our Postmaster General he made sure that our ships took advantage of it for those trips to Europe which were, therefore, always faster than the return voyage. This ship was a Spanish registry merchant marine and it sank around Bermuda or the Bahamas (memory is such a fragile thing). In a moment you will see why but for right now just know that Newfoundland is the island just above the "S" in Gulf Stream. It looks like a peninsula here but it is separated from the mainland where Laborador is located. If the picture above is too cartoonish for your tastes, chew on this IR satellite image. When the water reaches the polar seas it sinks and this is the cycle that allows life in the British Isles and other northern climes. 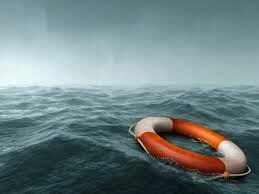 About a dozen people left a spanish merchant vessel for a terribly undersized life raft. That took place somewhere close to Bermuda. They were at sea for about two weeks before the U.S. Coast Guard found them. 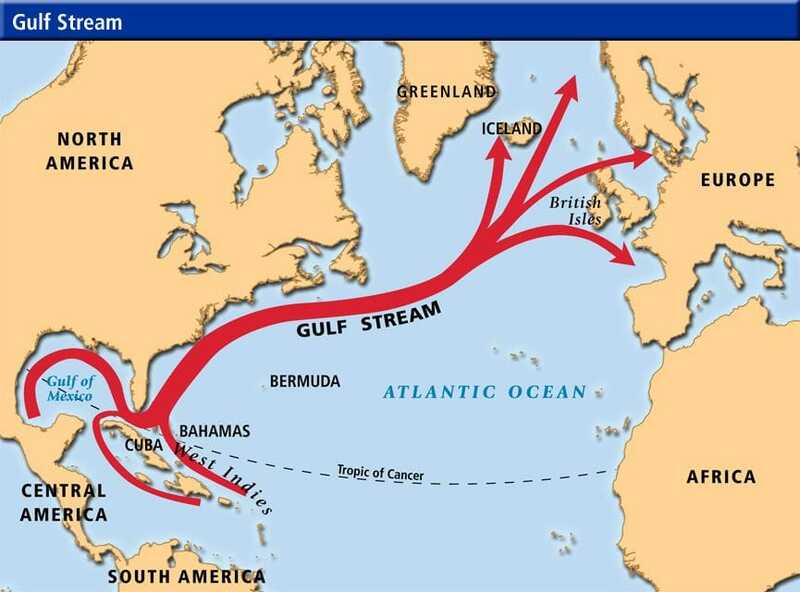 Thanks to the Gulf Stream they had gone from the Caribbean to a portion of the Atlantic Ocean near Newfoundland. Only one was still alive and one had been recently. The Coast Guard Corpsman put the recently departed in the cutter’s walk-in freezer and in my opinion saved the life of the lone survivor. The closest port for assistance was Argentia, Newfoundland where yours truly was stationed at the small station hospital. I don’t know the exact miles but that is North and East of Maine. The weather at the time was terrible which was standard for winter in Newfoundland. My adventure had more to do with my experience after that survivor and his deceased shipmate reached shore. Now honestly I do not remember if we had no holding coolers for mortuary purposes or if it was simply another case of someone making decisions who had no clue. For whatever reasons it became important to get the body to a Mortuary in St. Johns Newfoundland. In the best of times this amounted to 40 miles on a road that was only nominally paved with fist sized rocks. Then one could hit the Trans Canadian Highway (TCH) for an easy 40 miles into St. Johns. Something similar to this was our ride. I still remember that it was an elderly Dodge that was named 25 thanks to the Navy ID. It had a flathead six of pre-war design. It had a heater that worked and we had the belief that it could pass through anything. Probably/possibly with a more competent crew it could have. The driver was an apprentice that had been more. It seems he had stolen a Navy bus and driven it into the water. Apparently that was our administrators assurance that he could drive anything anywhere. To be honest, I agree that he had been imbibing a mind altering substance before he procured and wrecked the bus. He was drinking nothing as we departed for St. Johns with the body strapped in the back. I sure intended to keep him sober while I was in the ambulance with him. Possibly that is why I had been sent although at that time in my life I was a terrible choice if sobriety was important. On the other hand my low IQ coupled with my willingness to go might have been factors. Honestly this picture doesn’t do justice to the snow drifted around. On one curve the driver caught the front right wheel on something and put us into a slide. The results of the slide were that we ended up laid over on our drivers side like a beached whale. I was clutching whatever I could with feet windmilling just inches from a terrified driver’s face. The casket was swinging like a pendulum on two straps but it was held in well enough that it did not try to share the front space with us. For our peace of mind we were grateful that it stayed closed. There was no bulkhead separating us. I found something to support my weight, got the passenger door open, and exited the vehicle. The driver followed me looking much the worse for wear. I suppose he must have had visions of a public hanging dancing in his head. I hitched a ride about ten miles back to a pay phone. The base called a tow truck and gave instructions to get the ambulance upright, check the engine oil, and proceed if able. That turned out to be less than good advice. When I returned, the driver told me that he had been offered beer, sanwiches, a ride, and who knows what else. When they would ask about the patient he would deadpan the the guy was dead. Said he got all sorts of reactions to that. Macabre. I followed instructions and if I recall correctly, I assumed the driving duties. About ten miles onto the paved TCH, the vehicle began to slow. It appears that the transmission simply was not ready for highway speed. There had been no signs of transmission leakage when it was on it’s side but, for whatever reason, it was fried. A passing motorist called the base and the base called the Mounties. They summoned a hearse from somewhere that was actually capable of highway speed. It came over to the wrong side of the road and backed up end to end with us. His lights were on because it was starting to get dark. A car came barreling over the hill, saw them, thought he was on the wrong side of the road, swerved right, and took off for the ditch. That car remains as the scariest thing of the whole ordeal. I was between the two rear bumpers transferring a body. If it had hit the ambulance anywhere I would have been toast. 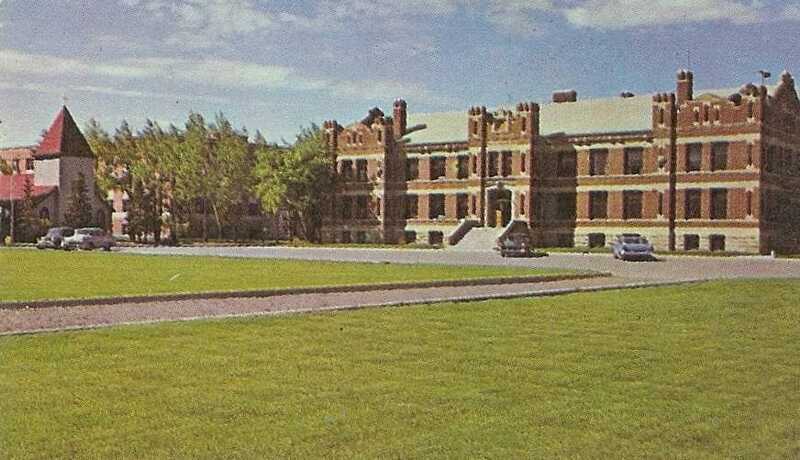 It’s really hard to remember but google images says this is the RCMP headquarters in St Johns. We were taken there and given a bunk for the night but it was not to be. My boss had enough and so had I. He sent a tow vehicle for us and I was happy. When the snow melted I was on my way to sub school. There were a couple times on subs that were scary but nothing with the terrifying helplessness of watching that car come over the hill and head directly towards us.